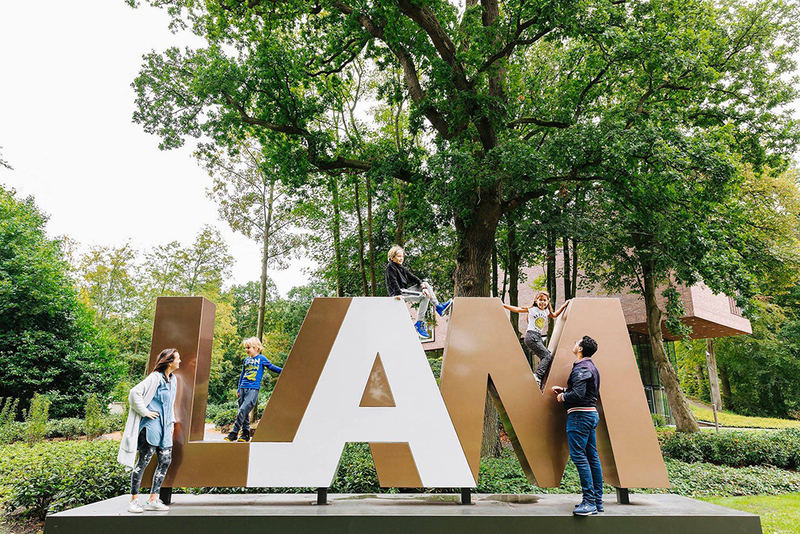 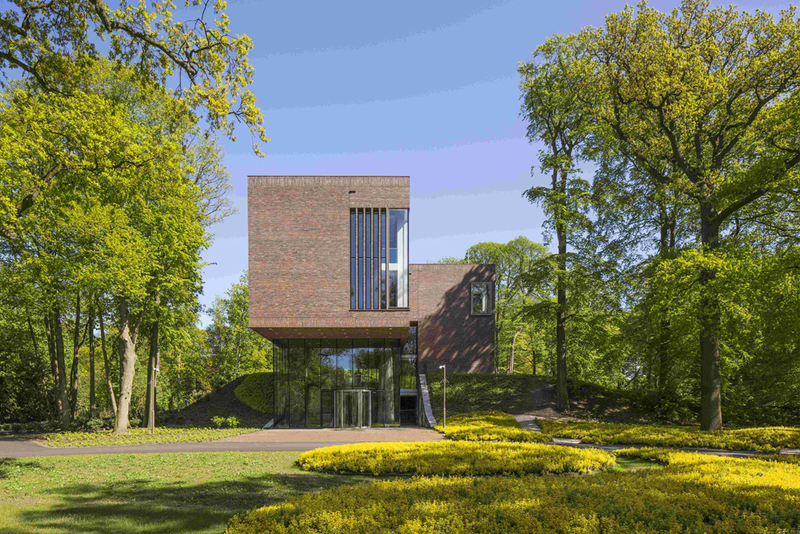 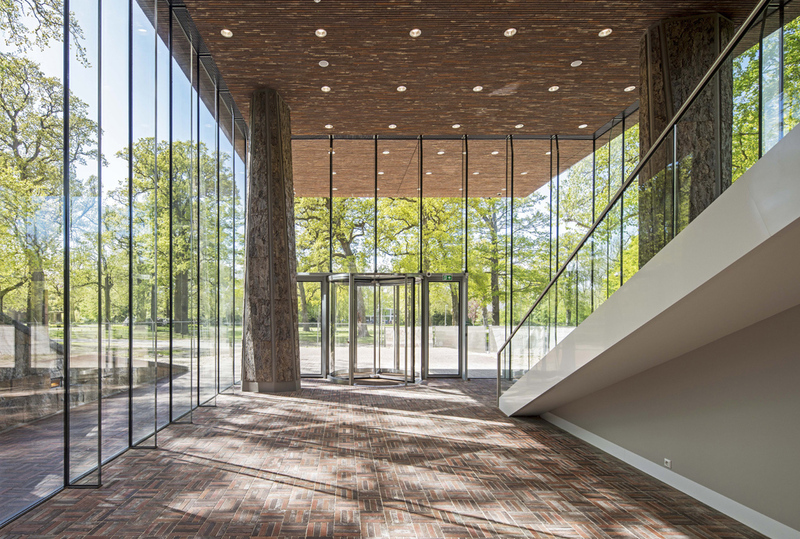 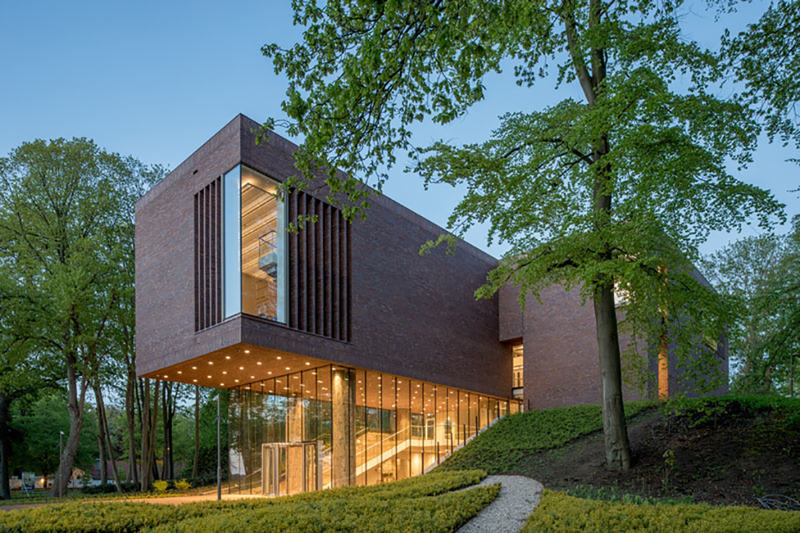 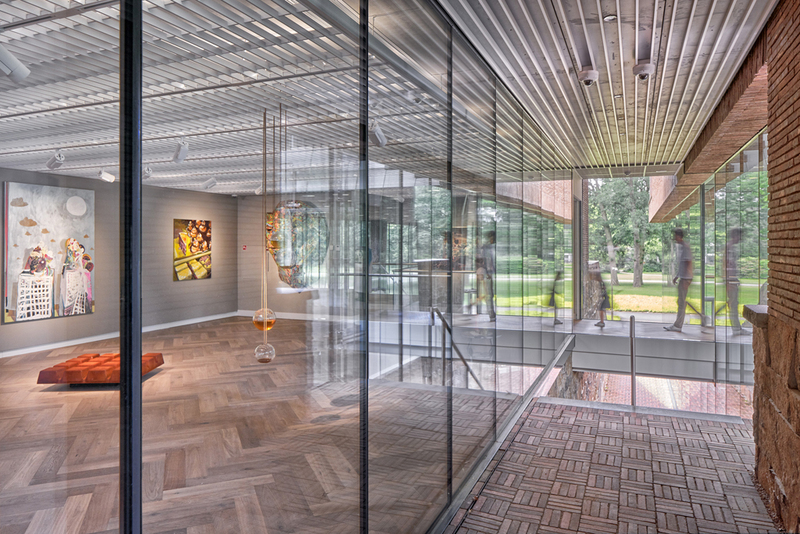 On the monumental historic mansion of Kasteel Keukenhof, KVDK Architects has realized the LAM (Lisser Art Museum). 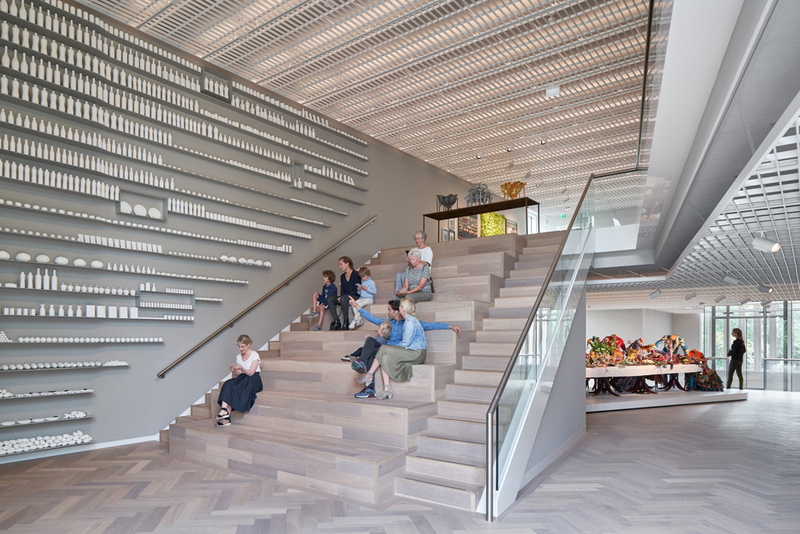 This ‘food & consumption art museum’ was founded by the family foundation ‘VandenBroek Foundation’ of the supermarket retail group Dirk. 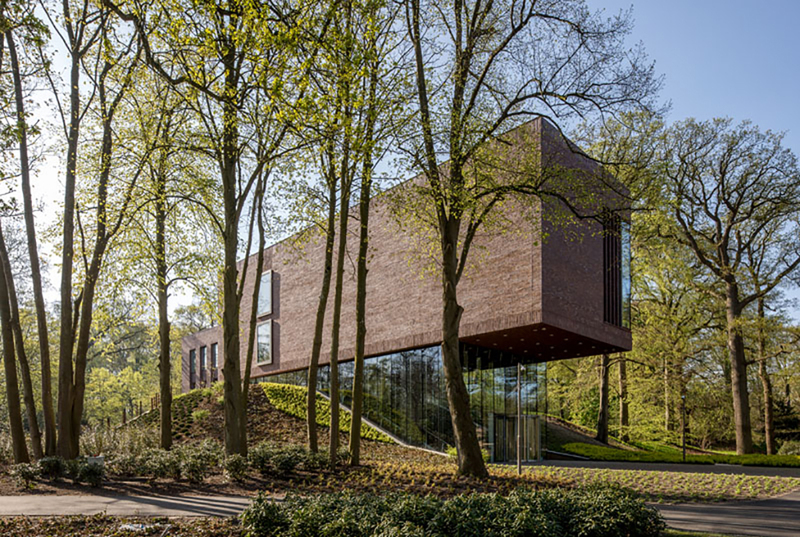 Embedded in a historic dike, the museum is in a natural way part of the surrounding culture park Keukenhof. 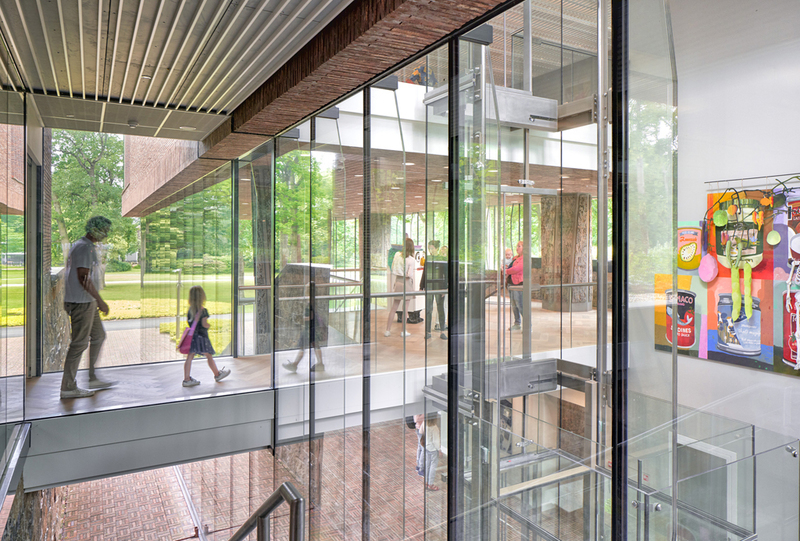 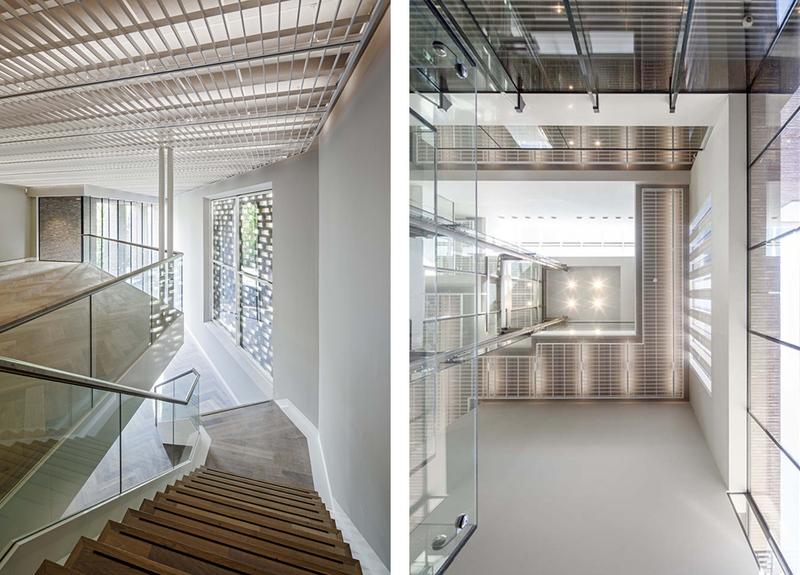 Through the open character, the routing and the natural materials, the museum enters into clear relationship with the environment. 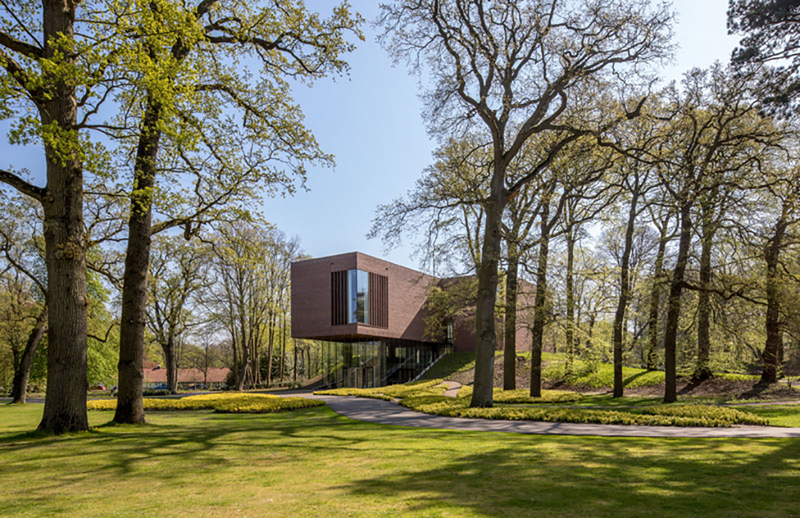 Art and park reinforce each other in this daylight museum; walkers enjoy the subdued building and a number of some ‘fine art shop windows’ and museum visitors discover the unique collection without losing contact with the nature around them.